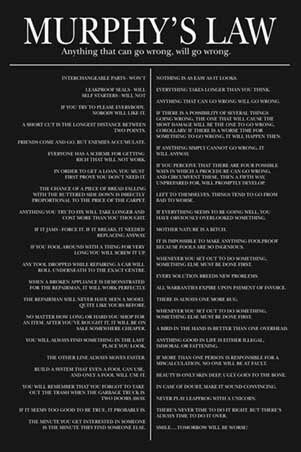 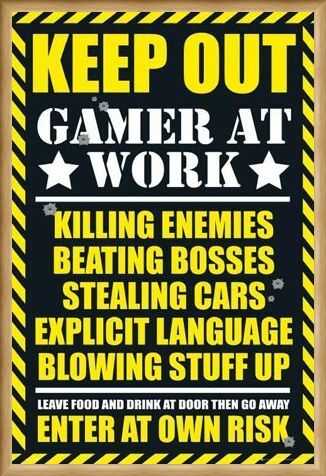 Humour and General: The perfect poster for any gaming fanatic who hates being interrupted or distracted half way through a level. 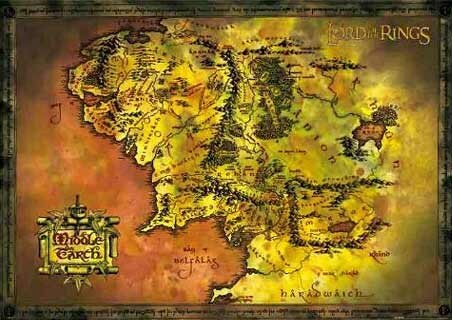 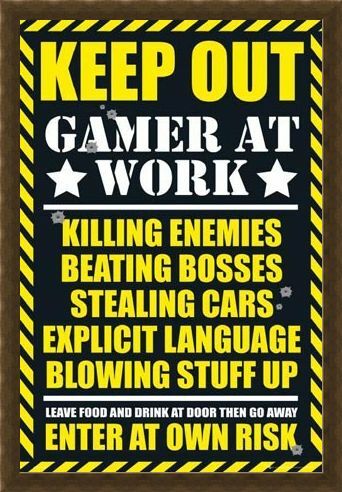 In bold black and yellow warning colours, the classic line ‘Leave food and drink at the door then go away’ voices the thoughts of so many gamers who just miss the top score when someone throws their concentration at that crucial moment. Pop this sign on your door and you may never have that problem again! 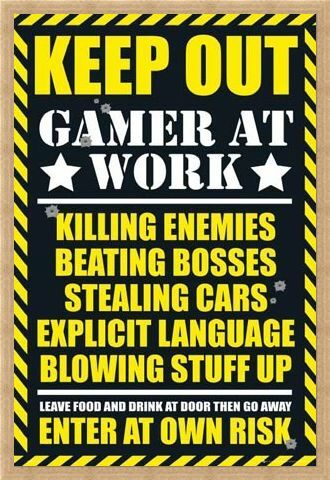 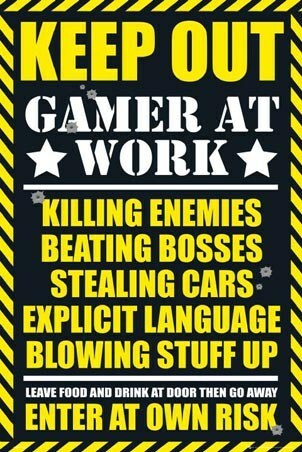 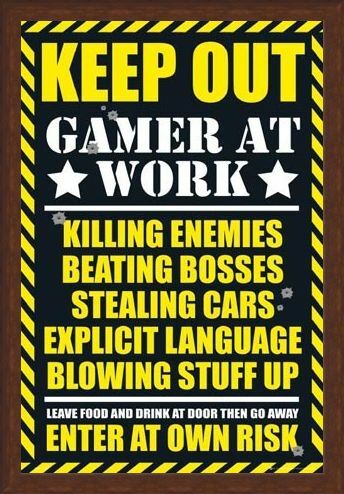 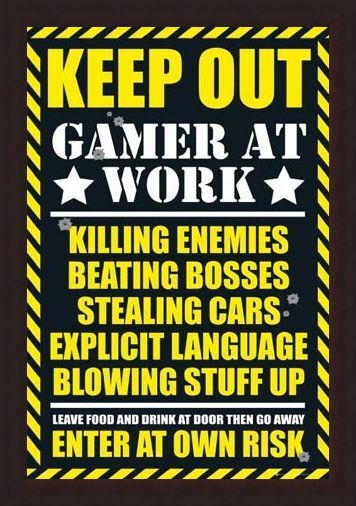 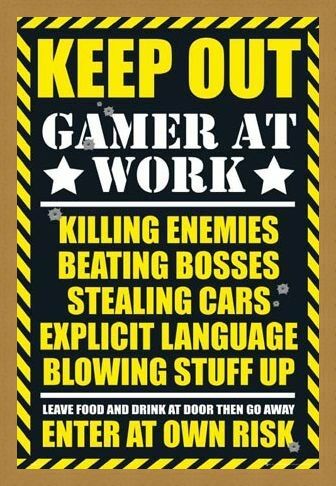 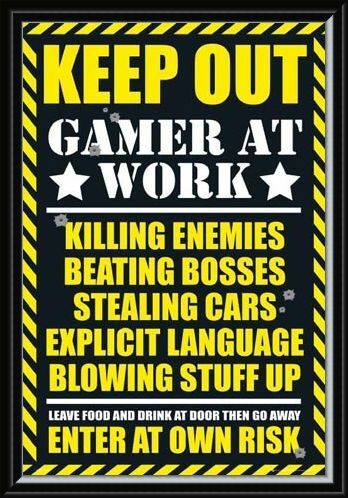 High quality, framed Keep Out - Gamer at Work, Gaming Keep Out Leave Food At The Door poster with a bespoke frame by our custom framing service.